Any time beloved beauty brand Kat Von D Beauty gives us any indication of what might be on the horizon, fans of the brand flip their lids. So a few days ago when they asked if we wanted a collection inspired by the iconic performer Divine, you better believe heads came close to exploding with glee. Divine was just about as glamorous as it gets, and her makeup looks were always out of this world. We can’t think of a more fitting homage than a Kat Von D Beauty and Divine collection — it would be an incredible tribute to her memory. Can you just imagine the colors? Swoon! 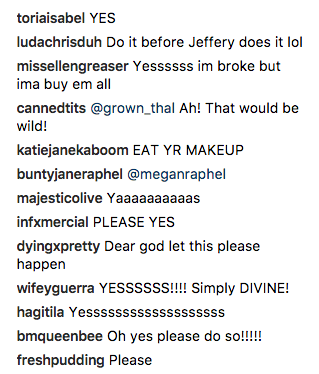 When Kat Von D Beauty asked their Instagram followers what they thought of a Divine collection, reactions ranged from overflowing joy to pure hysteria. Can you blame them? Look at the fierceness emanating from this goddess. What do you think a collection would entail? We would definitely need some ultra-glam lipsticks and hopefully an eyeshadow palette that captures her spirit. 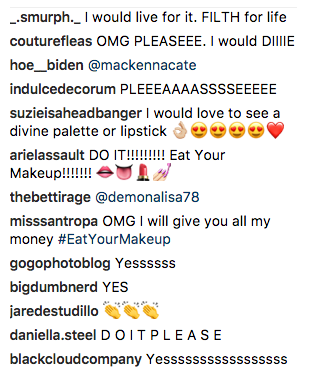 These are completely reasonable reactions to Kat Von D asking if we want to see Divine-inspired makeup, don’t you think? That sounds like a resounding, “YES, PLEASE!” to us. We are feeling butterflies just imagining this perfect collection. Do you think we might get some brow products so we can copy Divine’s iconic brows as well? Keep your eyes peeled for any possible indication that this is going to happen. We won’t be able to come down from cloud 9 if it turns out to be true. Isn’t it lovely how makeup can bring people together and fill our hearts with joy, even with just the slightest hint? Ah, the power of makeup.